Americans come in all shapes and sizes, but we have one thing in common: we all can use a great night’s sleep. Current statistics show that nearly 1/3 of Americans are obese. Since there have been studies linking poor sleep with obesity, it can’t hurt for anyone carrying some extra weight to invest in a great mattress. After all, regardless of our weight and age, we can all use some great support for the back, neck and joints. According to The Journal of Sleep Research, there’s a strong connection between hunger and sleeping patterns. In short, poor sleep can change your body chemistry, which can affect your hormone levels, metabolism, and other biological functions. These changes can make it easy to eat past the point of satiation. Factors like current health conditions and your level of physical fitness can also cause poor sleep. However, when we spend on average 8 hours in bed per night, we must acknowledge the role a mattress plays in the quality of our sleep. Bad mattresses are bad news. Even for sleepers of average weight, poor quality mattresses can have uncomfortable springs that dig into your side. They can also lose their shape and cave in, causing two sleepers to roll into each other every night. Back pain can result from sleeping on a sagging mattress, which can lead to further discomfort and more sleep deprivation. The cycle of restlessness will persist until it’s broken. When you have extra weight, the last thing you need is a mattress that doesn’t support you properly. You need a nightly oasis that promotes great rest! It’s cool. Good mattresses won’t trap body heat and give you a case of the night sweats. When you’re overweight, staying cool can be a bit more difficult. However, with the right mattress, you can avoid the pitfalls of discomfort due to a hot mattress. Therefore, the top layer of your mattress needs to be made of materials that mitigate heat during the night. It’s supportive. 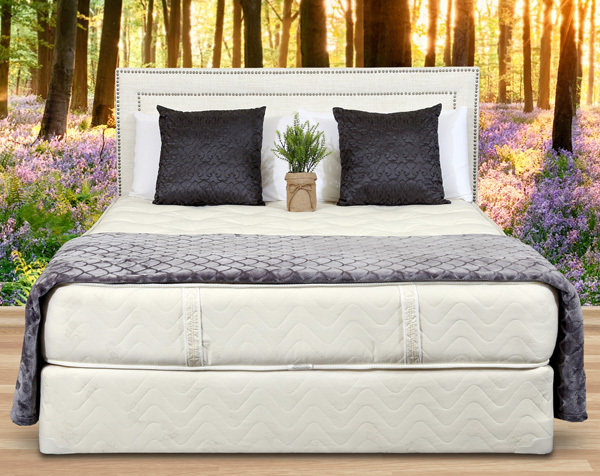 The ideal mattress will be balanced and mold to your body in all the right places. It won’t be too soft or too firm so that only a few areas experience uncomfortable pressure. To make this happen, you’ll need a mattress with an excellent support layer that can accommodate all types of weights, heights, and shapes. For a person carrying extra weight, a well-made mattress that keeps its form is crucial for the support and comfort necessary to sleep well. At Gardner Mattress, we know quality beds and specialize in expertly crafted traditional and organic mattresses. After all, we’ve been in the business for generations. Contact us to find out how our mattresses can help you get great sleep. Previous article	Should You Start Using a Sleep App? Next article	Do You Need a Sleep Aid or Just a Better Mattress? Can a Bed with an Adjustable Base Help Ease Sleep Apnea Symptoms?